Toothless, Meatlug, Stormfly, Meatlug Racingstripe, Toothless GID Eyes, Stormfly Night, Toothless Alpha Mode and a Random "Easter egg" color variant inserted for ultimate collectability! Includes collector coins! 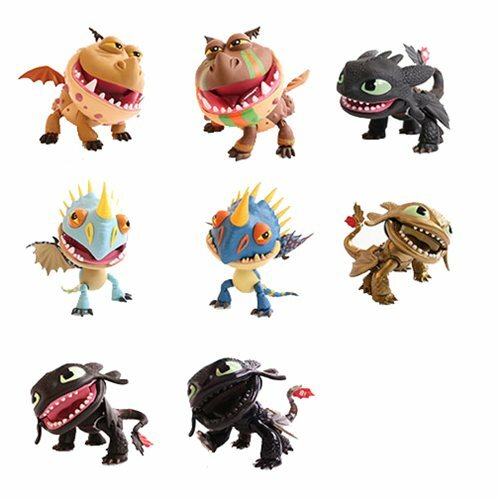 Each dragon comes with multiple points of articulation (Toothless has 14 pts of articulation! ), Dragons can stand and sit (Ball and pin joints in knee), ball and pin joints in tail, articulated jaws open.